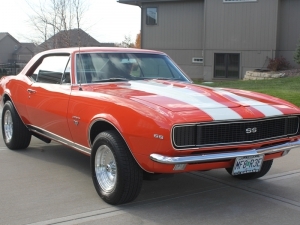 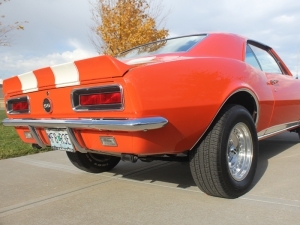 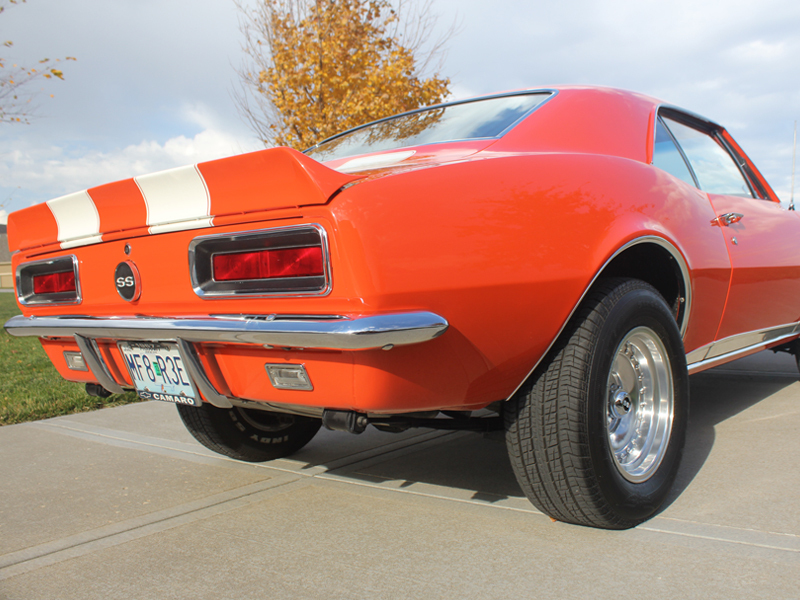 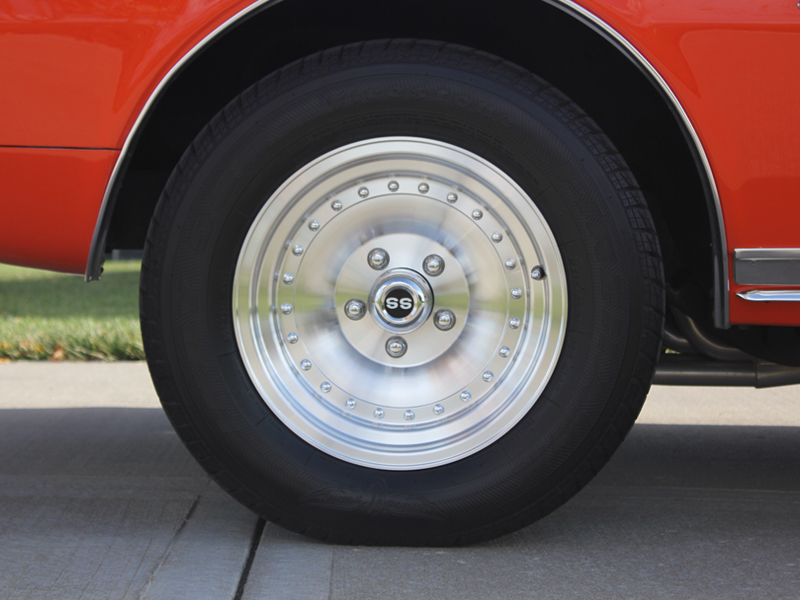 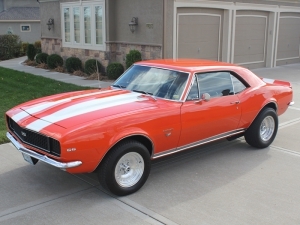 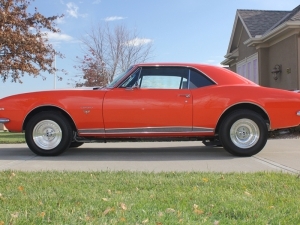 This is a vintage 1967 SS Camaro. 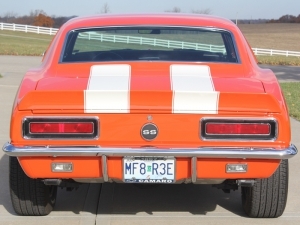 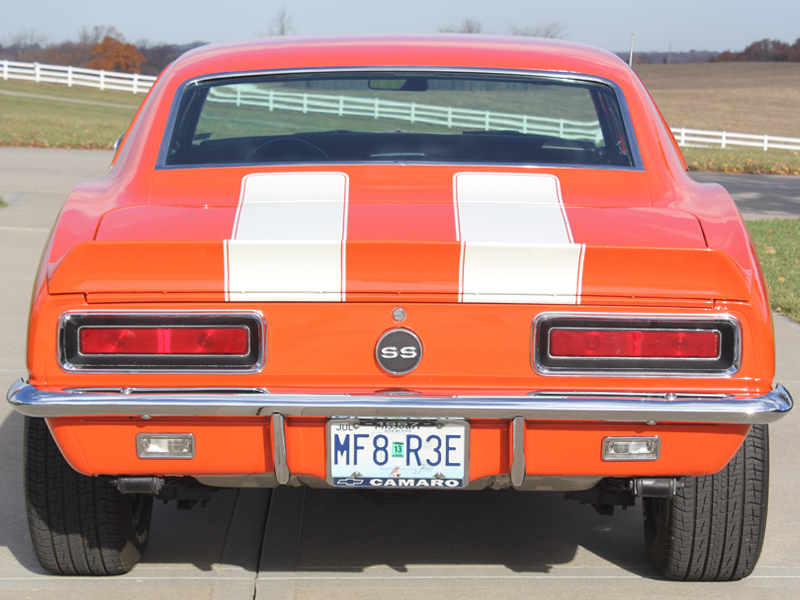 Hugger Orange exterior paint color with white racing stripes. 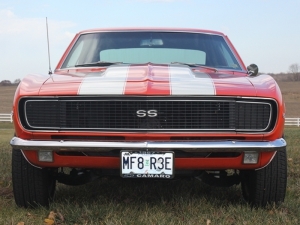 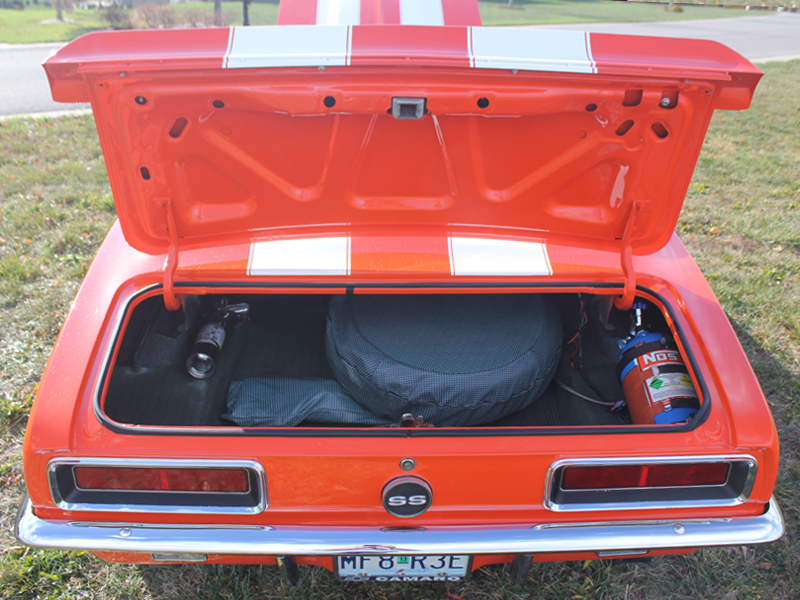 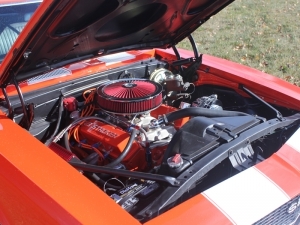 Featuring hideaway headlights and a 383 stroker motor with a manual 5 speed transmission. 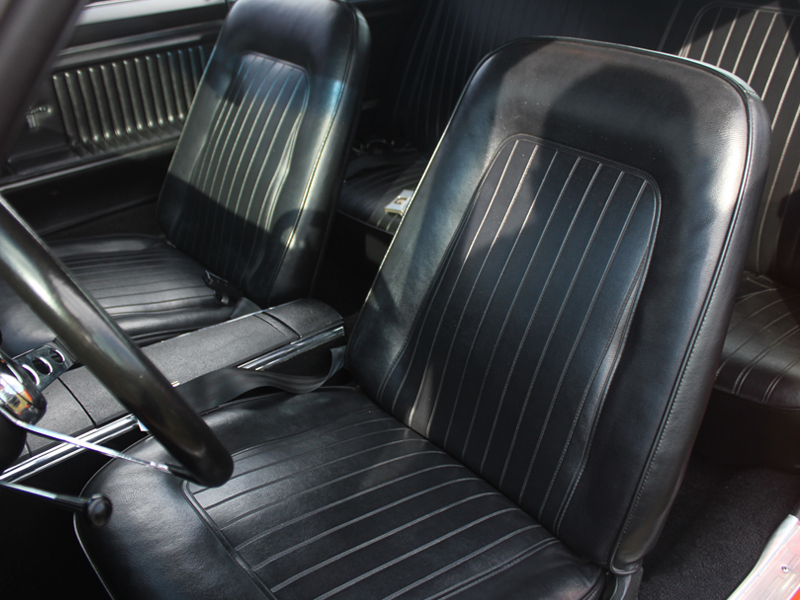 Factory black leather interior. 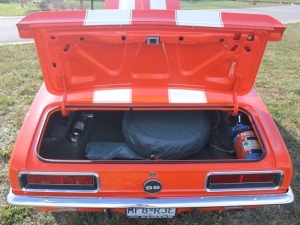 Complete with centerline rims, traction bars, and a 250 shot of Nitrous.